4 days left ’til the Sixth season of the Worldwide Comprehensive Review for NPTE, NPTAE, and PCE! The Webinar program that has produced numerous internationally-licensed PTs and PTAs is now on its sixth season. Experience the most comprehensive review program! Hurry very limited slots left! 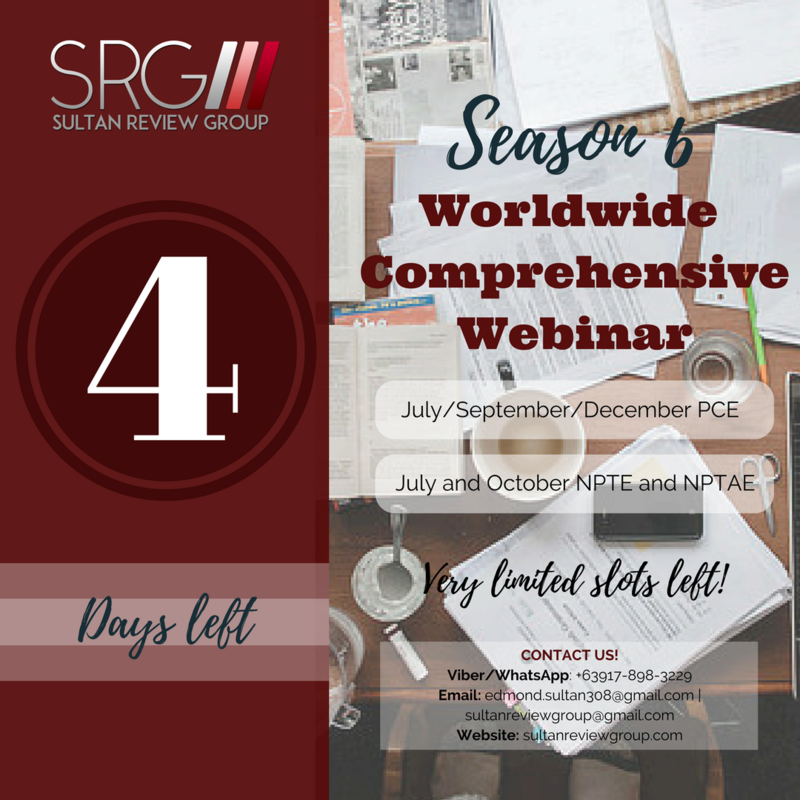 4 days left ’til the sixth season of the Worldwide Comprehensive Review for NPTE, NPTAE and PCE! Previous Entry:6th Season of the Worldwide Comprehensive review for the NPTE, NPTAE, and PCE is here!